Pixel Dust Photo Art: Heads Up! Just a reminder that the March edition of Photo Art Friday is just a few days away! Officially it begins Friday, March 7th - but we always open the gallery doors on Thursdays for our 'early birds'. So, if you want, you can link up your piece of photo art on Thursday, March 6th! Did you read my last post announcing that we will each be able to cast one vote for our favorite piece of photo art for the month? If not, you can read the post here. You will read that there is a prize choice for the image that receives the most fav votes. 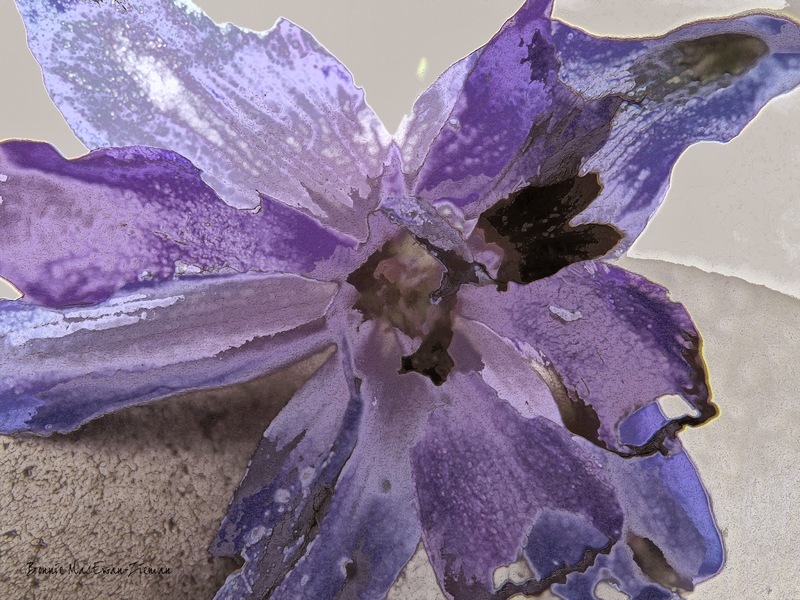 This piece of photo art began with a torn, ragged delphinium blossom set on a stone bird bath. The image was manipulated in Photoshop using Filters to distort it. A slightly abstract piece. The same edited photograph has been treated with Levels in Photoshop and one of my textures has been added and blended in Soft Light. The flower is now definitely more abstract. 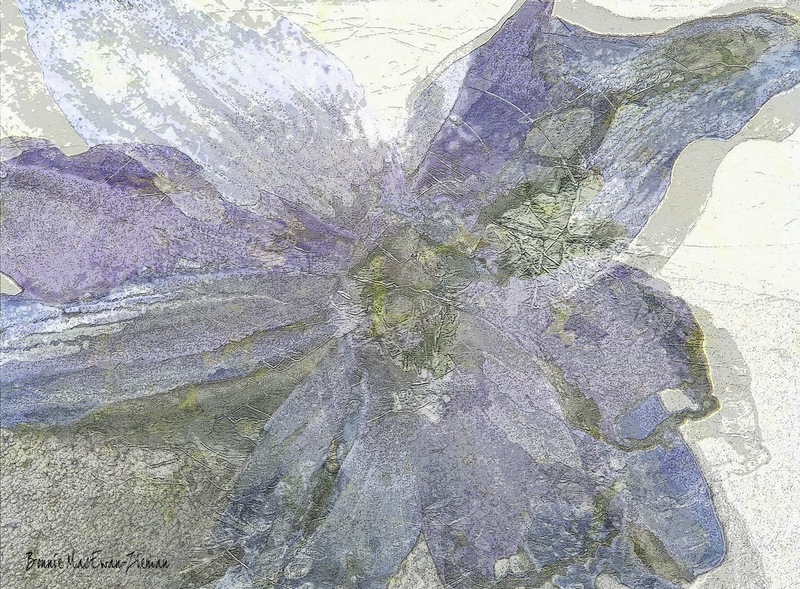 Same photo with the same texture added, but now blended in Color Burn blend mode. More abstraction and more intensity. If you have been waiting for a discount before purchasing some mini-sets textures, the wait is nearly over. All textures will be discounted by 25% from March 7th to March 31st. 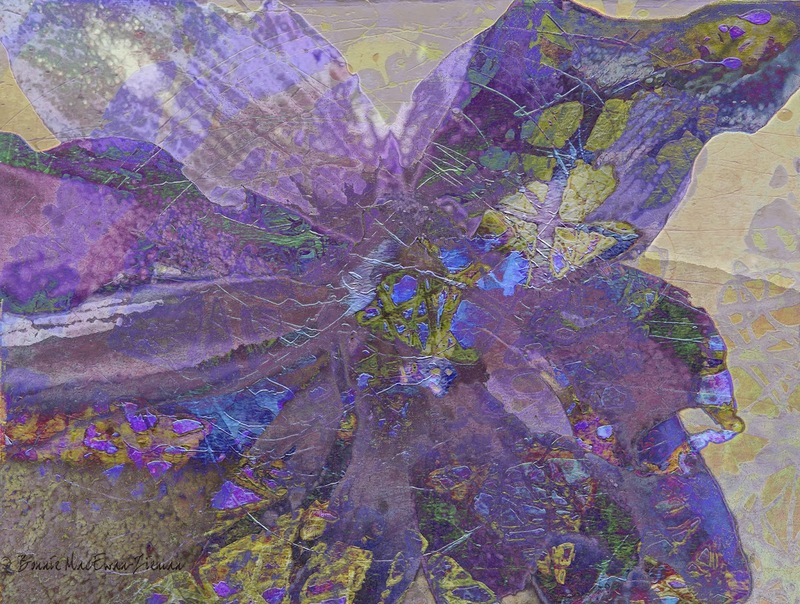 A new 'page', "Paintings" (tab is under my header) has been created to showcase my paintings. I hope you will stroll/scroll through the paintings and, if you have time, leave me some feedback in the comment section. Do take a peek! Perhaps you will win a couple of my textures if the other participants vote for your image as the one that most attracted them for this edition! See you soon! Very pretty! Thanks so much for the reminder - what a beautiful flower! love the texture and color choices! Hopefully I can come up with something to join in the fun. gorgeous, can't wait to play! love your digital art Bonnie. What fun. Will be home this Friday so am looking forward to joining in! Hugs from Texas!